Big thanks to the community - all your builds were really helpful and a lot of inspiration! So, it’s my turn to contribute. And, best wishes to all who are planning their small-factor PCs and to those who already enjoying them! So, I grew tired of giant metal coffin cases and noisy spindle hard drives, and wanted something really compact, white, not metal, but still powerful and silent. Special thanks to it's creator Kevin Dolan, the case is very well-engineered, with great attention to detail and overall feel of a quality product. It could be placed in standard, cozy (with a place for a flower pot )) or tower (more elegant) position. And, you could fit it with wood panels that in reality feel better than on foto. Turbo Boost (long OC) up from 65W to 95W, and Max TurboBoost (short ultraOC) up from 122W to 125W, its duration from 25 sec. up to 96 sec. Yes, 8700 base freq is 3200, but this setup allow you to stay at I7-8700 built-in OC 4300/4600(1 core) longer and safer. This is done in Intel XTU utility or in BIOS. On the other hand, overclocking “K” to 5000Mhz means something like +10% faster and +100% more power consumption, not really efficient. Also, if your build is really silent, you could start hearing strange very quiet whines. It’s Asrock motherboard’s fault. Just disable CPU C-States in BIOS to stop them. C-States downvolt CPU at idle, but sometimes too awkwardly (voltage will jump and overload motherboard’s capacitors). Win10 does the same job anyway, just without whining. Also, if you disable C7 state only, bad "whine" will go, but you'll still be able to hear CPU "working". It's kind of cute, like very quiet old IBM System 360. CPU Cooler. Noctua NH-L12s, and it is way overkill for 8700. Also, it will only fit if you'll cut USB3 cable plug (see pics). And (!) throw away accessory screwdriver (! ), it is covered with metallic film that easily peels and could short circuit something (in fact, it short circuited my CPU). Here are the tests: https://www.lazer3d.com/2017/11/17/noctua-nh-l12s-compact-cpu-cooler-review/ Case fan: Prolimatech Ultra Sleek Vortex 140mm. 1. Case fan to 0% until CPU 50C - it will still rotate (390 rmp), but inaudibly. 2. CPU fan to 30% until CPU 50C - Noctua NH-L12s is so silent, you can't hear it until about 35% (840 rmp), so let it work instead of other fans. 3. GPU fan - Gigabyte ITX cards work fine by themselves, going to passive when they can. Yet, I've replaced stock fan with Noctua NF-A12x15 PWM (the same as in CPU cooler), and now it is much more silent. 4. PSU fan - if it's noisy, just remove it - Noctua NH-L12s heatsink will absord the heat from PSU body and cool it with silent CPU fan. Finally I've just replaced noisy stock one with Noctua NF-A9x14. Works silently, stays longer in passive mode and allows to cpu fan to drop RPM. This is how it's done: https://www.overclock.net/forum/31-power-supplies/1611797-corsair-sf600-fan-replacement-92mm-noctua.html But you can just twist the wires. Maybe solder, but that’s not necessary. While browsing (balanced Win10 profile): CPU stays under 3000 Mhz, total power use - under 40W, CPU&GPU temps - under 35C. Stress Testing: 4300 Mhz (6 cores), total consumption stays under 250W, CPU&GPU temps under 70C. Balanced Win10 power profile means idle CPU works at 5%, that means in idle it will fluctuate under 2000 Mhz consuming around 15W. If idle CPU is set to work at 100%, in idle it will stay at 4300 Mhz, consuming 20W. This is, effectively, C-states done by Win10. 4. PSU. 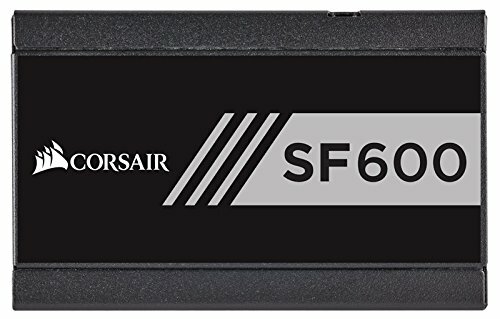 Corsair SF600. I made a wrong choice, it is a complete overkill (8700+1080 max 250w), AND fanless mode is not working (unlike SF450). So SF450 is definitely better. Also, they recently made SF450/600 v2 and reworked the fans. 5. Motherboard. Asrock Fatality Z370 ITX. With a new Z390 chipset, it is obsolete. And not recommended: 1. It's capacitors whine. But you could just turn off CPU C-States (see above). 2. 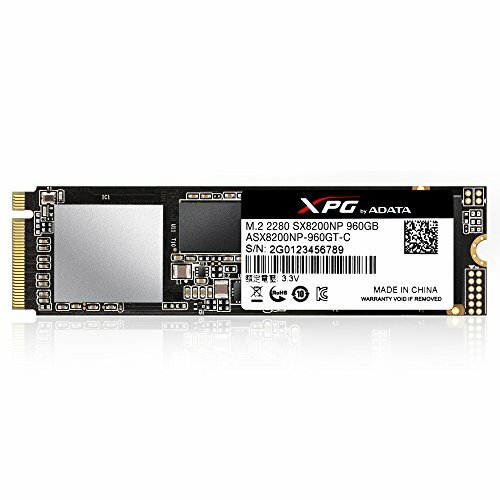 PCIe could stop working. Reflashing the most recent BIOS could help (for me it did). 6. Hard drives. M2 Adata 960mb, not Samsung Pro 512mb. These Adata are believed to have good batch of chips, in real life its speed rivals SamsPro. Also, its speed and longevity are increased because of bigger size. AND you can fit more on faster M2 and less on slower SSD, so the bigger M2 is, the better. 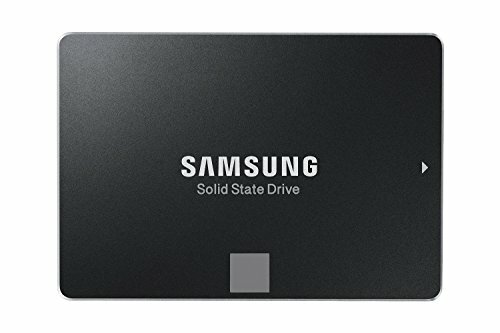 And I have an older Samsung EVO 950 1 TB. 7. GPU. Gigabyte 1080 itx. Because it’s the best that fits this case. 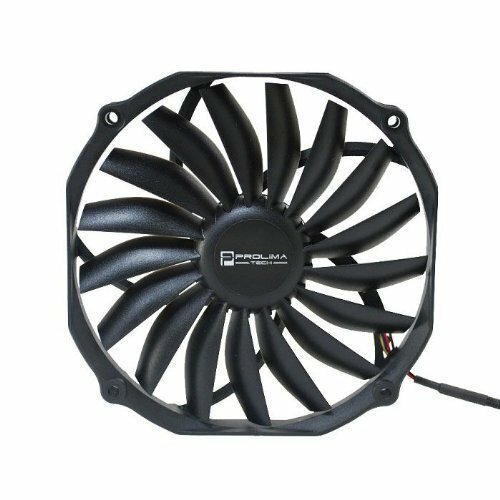 I have custom version for Gaming Box, and it's fan is noisy and never go passive. Basic version has different fan that stays passive in "browser mode". Also, 1080 handles Samsung Odyssey VR (it has the same displays as Vive Pro). Google Earth VR (with Streetview) alone totally justifies the purchase. The ability to fly free anywhere in the world, and then walk in Streetview like you are there - this thing is something out of this world! 8. Mouse. Corsair M65 Pro. 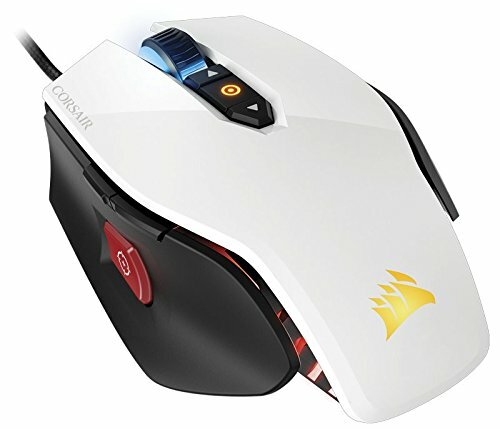 I don’t play mp shooters, so Corsair was just a sweet spot between work, games and looks, with good reviews. Also, it has cable, thus no interference with VR controllers, and you can change its polling rate. 9. As you can see, there were experiments with different appearance: fan grilles, dust filters, fans and rgb leds. ALSO, you could always paint black parts (and screws) white. Link to dust filters: DEMCiflex white round 140mm dust filter BUT they tend to stretch and mess with fans, so not recommended. Better that “K” for ITX, because it’s more efficient to undervolt it -0.9v, VCCIO and VCCSA to 1.15, and then upgrade its build-in overclock: Turbo Boost (long OC) up from 65W to 95W, and Max TurboBoost (short ultraOC) up from 122W to 125W, its duration from 25 sec. up to 96 sec. Yes, 8700 base freq is 3200, but this setup allow you to stay at I7-8700 built-in OC 4300/4600(1 core) longer and safer. This is done in Intel XTU utility or in BIOS. So, while browsing (balanced Win10 profile): CPU stays under 3000 Mhz, total power use - under 40W, CPU&GPU temps - under 35C. Browsing (CPU and PSU fans in passive mode) - all the same with temps under 45C. Here is the difference between CPU power profiles in Win10: (5%) idle CPU stays under 2000 MHz, consuming 15W. (100%) idle CPU stays at 4300 Mhz, consuming 20W. Stress Testing: 4300 Mhz (6 cores), total consumption stays under 250W, CPU&GPU temps under 70C. On the other hand, overclocking “K” to 5000Mhz means something like +10% faster and +100% more power consumption, not really efficient. Also, if your build is really silent, you could start hearing strange very quiet whines. It’s Asrock motherboard’s fault. Just disable CPU C-States in BIOS to stop them. C-States downvolt CPU at idle, but sometimes too awkwardly (voltage will jump and overload motherboard’s capacitors). Win10 does the same job anyway, just without whining. Also, if you disable C7 state only, bad "whine" will go, but you'll still be able to hear CPU "working". It's kind of cute, like very quiet old IBM System 360. Better, than Asus, because ASRock BIOS is more convenient, it’s audio chip is a bit better, it has USB 3.1 gen 2 (aka 3.2, in fact it is Thunderbolt), wifi is 5 mhz ac, cable is 1000 Mbit, and other minor things like better control of fans and mouse polling rate. Also, Asus m.2 heatsink is not really cooling, and the second m2 is not really m2 ). And sometimes they say Asus capacitors whine. Asrock capacitors whine, too, but you could just turn off CPU C-States. Special thanks to creator, Kevin Dolan, the case is very well-engineered, with great attention to detail and overall feel of a quality product. Also, it is very customizable, like Lego – you can order it in any color, use different leds, grilles, fans and so on (https://www.lazer3d.com/lz7-configurator/configure/935/) It could be placed in standard, cozy (with a place for a flower pot )) or tower (more elegant) position. And, you could fit it with wood panels that in reality feel better than on foto. It is a complete overkill (8700+1080 max 250w), AND fanless mode is not working (unlike SF450). So SF450 is definitely better. Also, they recently made SF450/600 v2 and reworked the fans. that's a really nice looking build! great job. Thanks ) Your build looks great, too! Thanks ) Truth be told, your builds are better. Noise: I removed PSU fan. CPU cooler fins are touching PSU body, so CPU cooler works for both of them, and under 32% it is silent. Case fan, if set to 0% up to 50C, still rotates, but is silent, too. GPU fan is noisy. In about 2 weeks I'll replace GPU fan with the same as in Noctua NH-L12s. And another silent Noctua will be installed in PSU. With this setup, CPU cooler could be set to passive up to 50C, thus in "browser mode" there should be literally no noise. -mini itx -clean inside -White with wood grain finish and I'm sold. That is my plan exactly, fans are already purchased, just waiting for them to arrive. I intend to remove the fan from GPU and mount Noctua 120x15 mm on the case itself, it has mounting holes for it. So there will be 2-3 mm between the fan and the heatsink. In fact, I also bought Thermalright 140x13mm fan, maybe it will fit better. This is wonderful! Just a question about your GPU fan replacement -- how do you find the GPU noise and thermals now? And have you been able to get the Noctua fan to run in passive mode? Sensible build ! - I remember watching Tek Everything - using the Lazer LZ7 back in Feb on his YouTube channel and was really impressed - makes my Core 500 seem like a full-sized ATX by comparison. And, to tell you the truth, it was when I saw Tek Everything's video that I thought "Finally, I've found my new build!" An incredibly classy build! The classy look belies the power inside. Seeing the white case with wood panel on the wooden desk,.. It evokes a certain feeling I can't really describe. Truly, a work of art. May I ask what you do with your computer? 8700 + 1080 + 32 GB RAM + gobs of SSD storage adds up to quite a powerful computer, especially mini ITX. You've obviously put a lot of thought, time, and capital into this. To support Samsung Odyssey VR helmet, for Google Earth VR. It allows to travel the world like you're Superman, while drinking tea at home. BUT, that requires a lot of power. Also, it's a satifsying feeling, when a person makes something as close to perfection as possible, like a job well done. I'm more like 2 1/2 SFF builds... one was a transfer/partial upgrades. I didn't realize that VR was that resource intensive. To clarify, I figured it was GPU-intensive but wasn't sure what else. Mainly, I'm trying to see if there's any justifiable reason to upgrade to 32GB of RAM. I've got a 16 GB 2x8 2666MHz kit. I can run my games with an obscene number of Chrome tabs open in the background and not break 10GB. But, like reason #3, I'm not close to perfection but maybe I'm still in the "perfectly adequate" zone. Right now, I don't see a reason to upgrade from 16 to 32. Anyway, it occurred to me to ask if you've considered flashing the BIOS on your Aorus box card to the retail version, since, like you mentioned, the retail version has a silent mode. I don't even know how to do such a thing, only that I've heard of people doing so. Oh, I've already done that. No point. The result is, it will just rotate faster ). I guess, because it expects the fan to be smaller. Also, Aorus Engine app will stop working. Well, it's possilbe to turn "silent" mode in Aorus Engine, but in "browser mode" it rotates with the same speed anyway. I've even tried to disassemble and lubricate the fan, no changes. It seems it's either you're lucky to have a silent specimen, or just swap it to more silent one. Aand, it shines on heavy loads. It sounds like a strong wind, no whining or anything. And it reliably keeps GPU under 75C. If you need a guide on flashing BIOS, I could post one, but it's dangerous. Wow, the full-white body looks exceptionally clean, and has the guts to back it up! Is that a Phanteks Halo Lux fan frame in the pictures? Im set on the LZ7 for my next build, but RGB slim fans are nowhere to be found, so Im wondering if you were able to fit it in the case. Thanks in advance, and again, great work on this build! Sorry for late reply. That was not Lux, just the usual plastic one. BUT, Asrock Motherboard LED driver is PWM, so it flickers and that is not cool. As you can see, it could be fit outside (and painted white). To fit it inside, it's possible to remove led strip from Phantex Halo (strip itself is really slim). But, unfortunately, it flickers and don't look that good for white case. Maybe, it will be better with a black one. Update. Phanteks PH-FF140RGBP_BK01 Halos, when disassembeld, produces a nice, very tiny led strip. I've inserted in INSIDE the case, around Prolimatech fan, and it looks amazing! Because it shines THROUGH the case, and it removes PWM flickering. New fotos will be in about a week. Thanks for the update! Good to know that the strip can still function when you take the Halos apart. I'm looking forward to seeing how you put it in the case! How did you eliminate PWM flickering though, if the strip is still connected to the motherboard via the 4pin connector? Great build, thanks for sharing :) I like the look of the circular white dust filter. Thanks! Your own builds are great and look high-style! Извини! Был уверен, что ответил в личку. Если что, пиши, спрашивай, за чем дело стало? Заказать из России можно здесь: https://www.lazer3d.com/ Кстати, лимиты снизили до 500 евро всех посылок в месяц (поэтому старался успеть до). Для себя выбрал 8700 не К, причины подробно расписаны прям тут, хоть и на английском. Коротко - прирост производительности сильно не соответствует росту энергопотребления. Я у себя его даже скинул, зато увеличил время, которое проц работает во встроенном турбо-режиме. Так выходит и быстрее, и холоднее. Noctua во всех случаях на порядок тише всех. M2 SSD лучше сразу 1 гиг. Сейчас это совсем дёшево, а там свободное место влияет на скорость. ОЗУ, если ловить на ebay, можно новые 32 ГБ как у меня взять по цене 16 ГБ. Фильтр. Ты, похоже, не читал описание (https://pcpartpicker.com/b/bsBbt6), там есть ссылка, да и ответы на другие вопросы. Хотя и по-английски ) Вот ссылка на фильтры: https://www.demcifilter.com/demciflex-magnetic-dust-filter-for-140mm-round-computer-dust-filter Но оказалось, со временем они растягиваются от тока воздуха и начинаю касаться центра вентиля, поэтому шуршат. Снял. Я сам, хоть и с опытом, всё равно нанял за деньги чувака с сайта 3dnews, чтобы тот посоветовал, как спец. И в ряде случаев это реально помогло от ошибок. Hope you are still enjoying your build ? I'm currently torturing myself with an idea of shrinking my build by roughly two-thirds volume to the LZ7, virtually what you've done but, with the new MSI RTX 2070 and possibly retain the Optane 32Gb Module paired to a 2.5" HDD. Hi BDP, Yes, LZ7 looks really comfortable on the table, and it's possilbe to order additional panels to match your mood. And, color-switching LED in side fan really adds ambience.